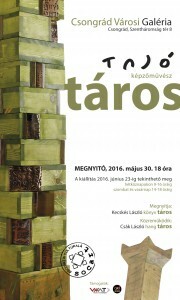 Art works transport for "Taros" art exhibition of the artist Tajo (Josef Tasi) - at Csongrad. WMT transported 30 art works, sculptures ans objects for the one man show exhibition of the artist TAJO, to and from Csongrad, Hungary. The transport was sponsored by WMT.